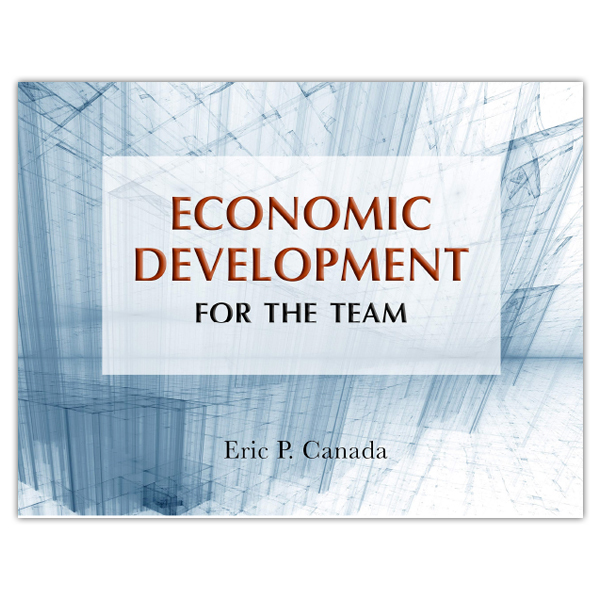 In Economic Development for the Team, author Eric Canada presents key principles, concepts, and strategies needed to effectively respond to the economic development challenges and opportunities faced by downtowns and city centers across the country. Understanding your communities position in the economic development life cycle, and appropriate actions for each stage. Developing programs and balancing resources among business attraction, business development, business expansion, and business retention. Throughout the book, key concepts are illustrated with diagrams and visuals, and success stories bring economic development concepts to life. A practical guide for those new to economic development as well as a comprehensive refresher for economic development professionals. Eric P. Canada is the founder of Blane Canada Ltd. He regularly works with clients to develop effective economic development strategies and programs. Economic Development for the Team is guaranteed. If you are not 100% satisfied, you may return it within 30 days for a full refund.